We want you to know just HOW much this extended comment meant to us! We spent yesterday afternoon and this MORNING reading it in depth and exploring all the AMAZING links you shared with us. You are right … it sure didn’t turn out to be a short comment. But, we are THRILLED that it didn’t end up being short because we learned even MORE amazing things about these Australian animals! We know a TON of work went into this comment for us and we really want you to know just HOW much it MEANT to us all! Ross, we are SO thankful that you continue to be a HUGE part of our learning journey. You push our learning deeper EVERY time we interact and we LOVE that! Thank you for being SO awesome! Your replies and thoughts on my posts are a highlight of blogging for me. As I read, I often have more ideas come to mind because of the quality and detail of your comments. Sometimes, a left comment or question on a post can lead to another post as it has this time for Daniel. Blogging allows us to share with the world. Commenting allows us to continue the conversation. 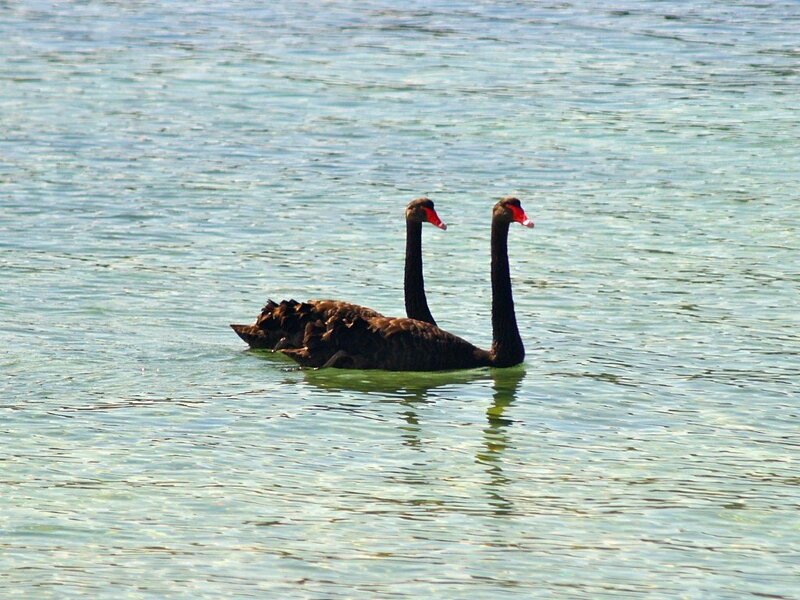 Hannah – One of my favourite experiences with black swans was an accidental encounter. 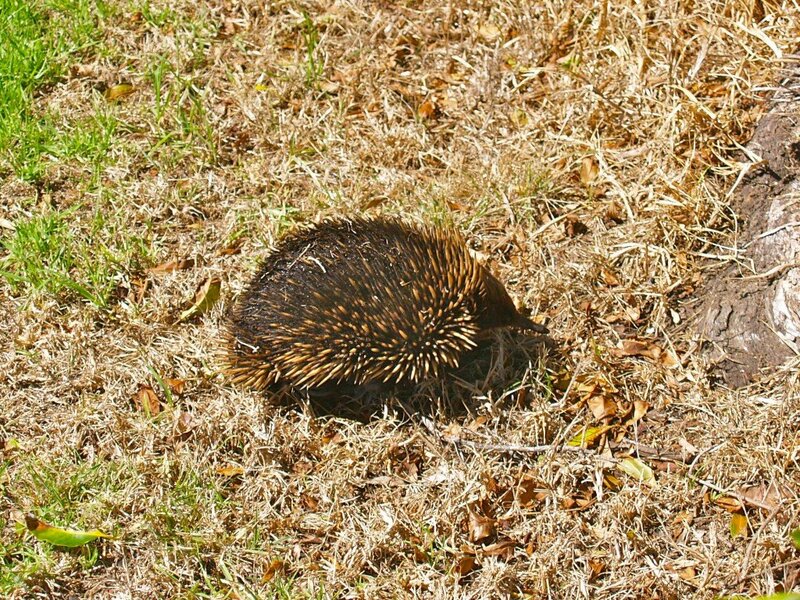 I had stopped on the roadside at the edge of Bega, a large town a half hour drive from my town. I noticed forty to fifty black swans walking through the grass near a large pond and wondered why they were there. I then noticed why, Following the pairs of adults were approximately 100 fluffy, white cygnets. What a day to be without a camera! 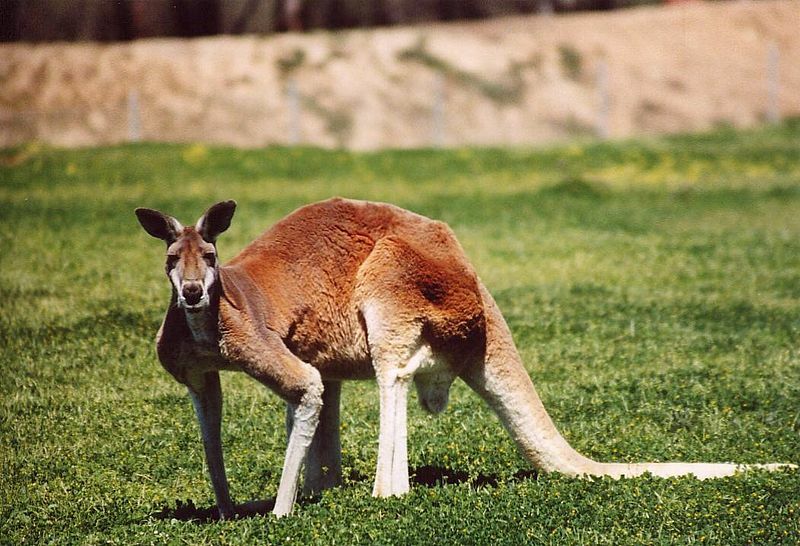 Kelly – The most common kangaroo in my area is the eastern grey kangaroo. I often see them when hiking and can sometimes see them eating the grass in the morning on the sports ground across the road from my house. I have also seen red kangaroos in the wild. The first school where I was a fulltime teacher was a small one-teacher school 100km from the nearest town. Out there we had red kangaroos. 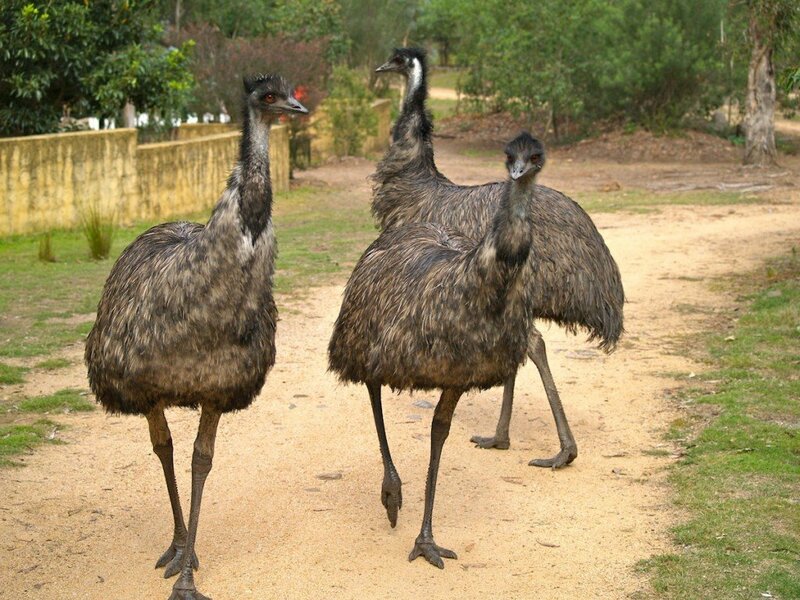 They looked magnificent as they bounded across the flat, open country of western New South Wales. Zyne – For me, learning has never stopped. If I become curious about something, I always want to find out more. This can lead to a new post where I share what I have found. 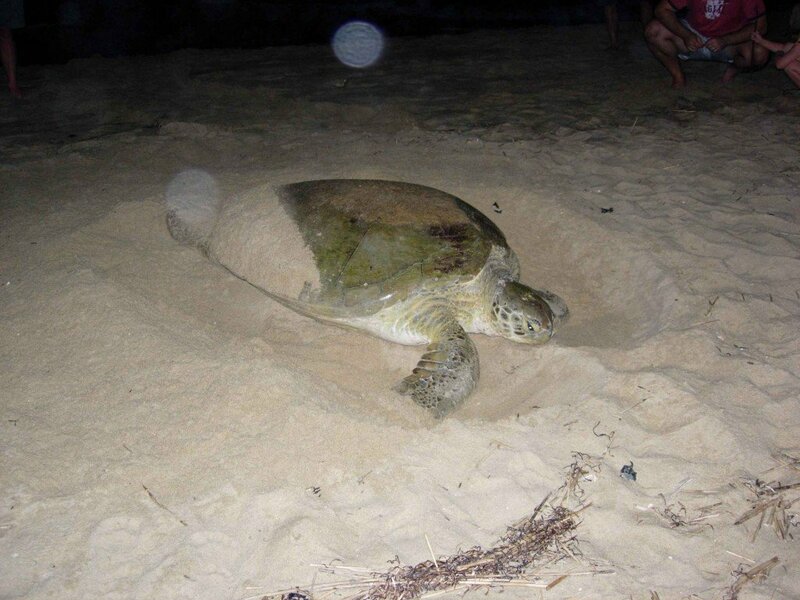 Unfortunately, large sea going turtles do tend to be endangered but there are people dedicated to helping them survive. Kale – You are very observant. You probably know reptiles tend to produce eggs from which their young hatch. In some reptile species the young can develop inside the mother and be born ready to go. I suspect the small red ball you saw could have been the remains of the egg sac from which the lizards hatched inside the mother. The injured lizard I took to the vet had a hole in its right side. A dog bite or perhaps a person accidentally stabbing it with a garden fork as it was in a garden could have caused it. 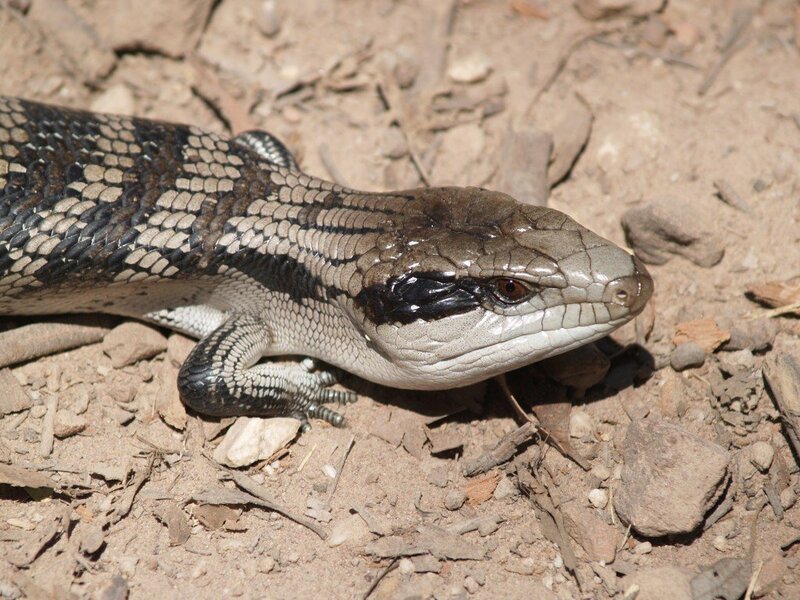 As far as sound is concerned, I have seen and handled a number of blue tongued lizards and have heard little sound except for perhaps a slight hissing sound if it is scared. Amy – Finding out new information is fun for me if I am interested in a topic and I am interested in many topics. Can you imagine what it would be like if human boys and girls were decided by temperature? That would be very strange. For humans, it’s more a game of chance. For the turtles, it may help their survival because humans might by able to ensure there is a good mix of male and female turtle numbers. If we were to have too many males one year, conservationists could artificially adjust the temperature to increase the number of females the next breeding season. Nature is fascinating. Kennedy – Male red kangaroos can be taller than me and I stand about 185cm tall. I have seen male eastern grey kangaroos almost my height but most I see are much smaller than me. I wanted to share two photos with you so I prepared a short post. The first photo shows one of the tallest male eastern grey kangaroos I have seen while hiking while the second shows a close up shot of a much smaller female. Peng Peng – I have seen how busy your class has become through blogging. I have found the same. Blogging and commenting is both interesting and fun but time is often short. It’s only at the beginning of each year I have extra time. By mid-year I start to get busy filming again. Jenna, Aya, Catherine and Hilary – Koalas do spend much of each day sleeping but it’s their diet at fault. 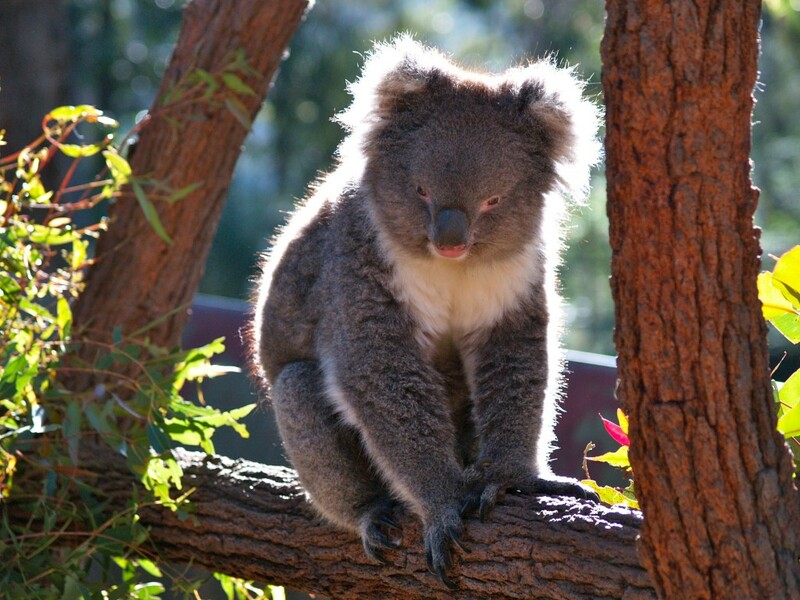 They only eat eucalyptus tree leaves and rarely drink extra water apart from what is in the leaves. Eucalyptus leaves are poisonous to us but koalas can eat them. They take a long time to digest and don’t given the koalas large amounts of energy so they sleep to digest and not waste their energy. Ethan – I find bats to be very interesting creatures. They are mammals like us but are good fliers without the need for planes we use. 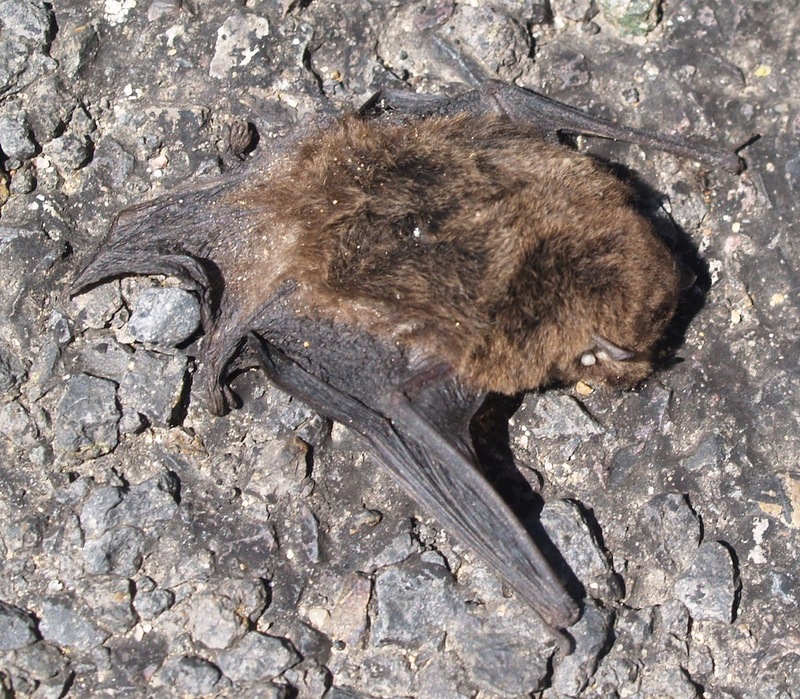 I have been in caves and seen bats hanging at the top of caves but was sad to see the poor little bat that had been killed by a car. For flying foxes, all I need do is walk outside into my yard in fruiting season to hear them squabbling in trees at nights. There are even colonies living in Sydney. Isaac – I mentioned to Claire I will soon be visiting a small zoo about 3 hours drive north from here. I’m hoping I might be able to add photos of many of the animals to my collection. Perhaps there will be Tasmanian devils I can photograph. I won’t know until I visit the zoo as it will be my first time there. I might take a still and video camera and hope I can do some filming. Alex – There are so many Australian animals I have yet to photograph or film but I am always on the look out for something new. 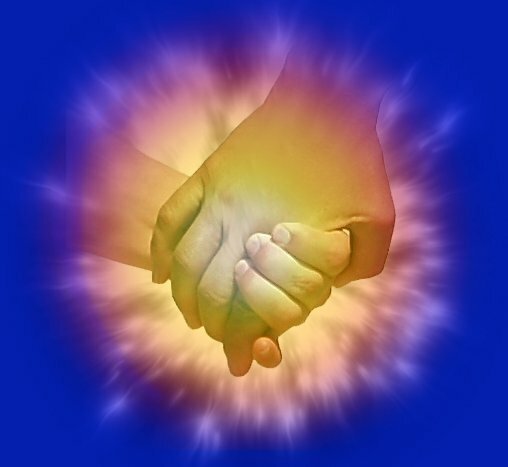 I would like to add more video clips of my own to my collection for sharing. I hope to be able to get my own video of Tasmanian devils to share in posts. 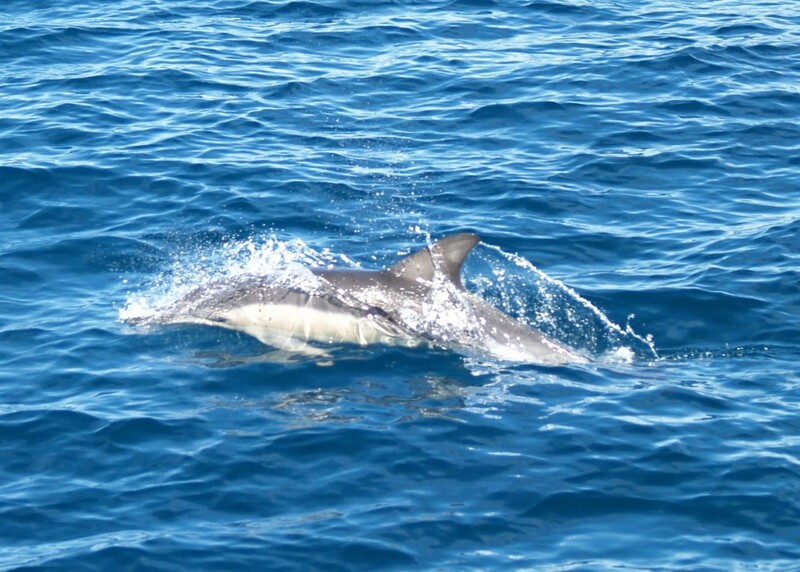 Martin – I have seen sea lions and fur seals both in zoos and in the wild. 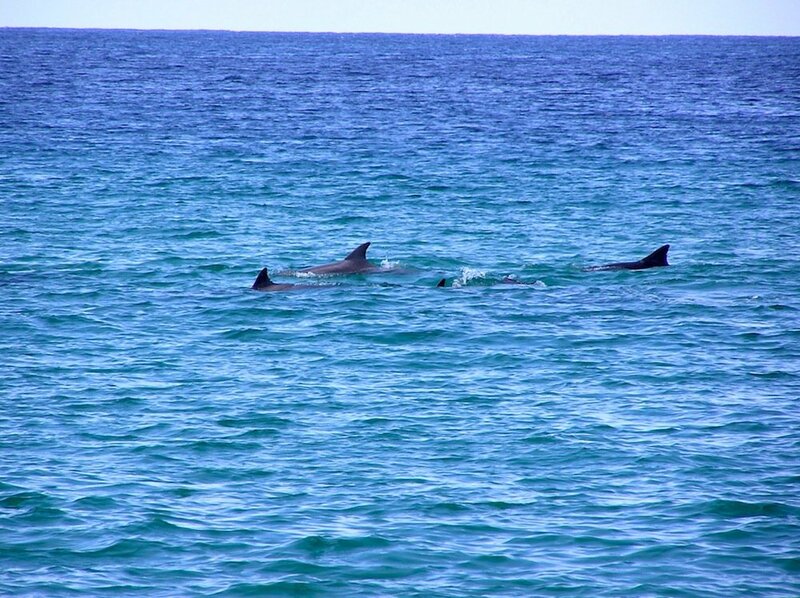 They can be very graceful as they swim. 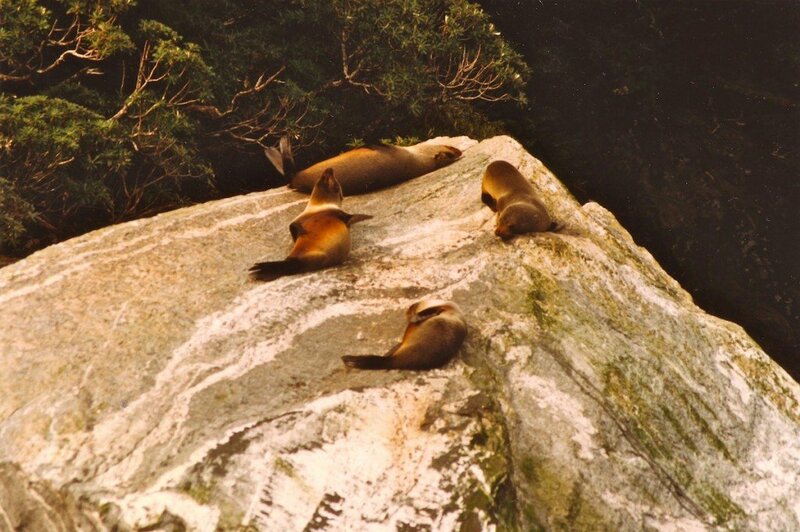 The old sea lion must have died a few years back because we haven’t seen him for some time but he had visited each year for a number of years. ‘m not sure if I have a photo of him but I am scanning all of my old photos onto the computer so he might turn up later this year. Lane – Bearded dragons can make good pets if you know how to care for them. I have held a couple of them over the years. Yes, kangaroos can get hurt but their chests and stomach areas are very strong so they would survive a strong kick we might find would leave us very hurt. Thank you, Ross! You INSPIRE us! Hilary – No matter how many times I’ve seen, held or touched koalas, I’ve found them interesting marsupials. Like you, I also found the girl/boy turtle eggs interesting. There are some animal species which can change boy to girl/girl to boy in their lives. The term for this ability is hermaphrodite. Most of them are invertebrates (no backbones) but there are also some fish. A fish called the wrasse is an example. If the dominant male in a group dies, a female may become a male. Isn’t nature interesting? Jenna – Koalas can reach as much as around 15kg in weight and live up to around 18 years in the wild and possibly longer in captivity. They have a slight smell of eucalyptus oil because of their diet. While some born in captivity can be handled, they can scratch and bite if you try to handle them in the wild. Aya – Kangaroos and the smaller wallabies are interesting. If, early in the morning, I look out of the window where I am working, I can sometimes see them of the sports ground across the road. They are usually also seen on a local golf course and in a holiday park. When hiking, I often surprise them. Alex and Ethan – Bearded dragons do eat some leafy greens and vegetables but they also like juicy worms, bugs, insects, cockroaches, etc. They are omnivorous (plant/meat eaters like us). What’s interesting is young dragons mostly like the bug diet whereas, by the time they’re adults, they prefer mostly plants. In captivity, I know they are often given mealworms. Dragons show a little sense in fighting. If another dragon is much bigger, the smaller dragons probably thinks it’ll get hurt. Many animals use size to frighten off challengers. 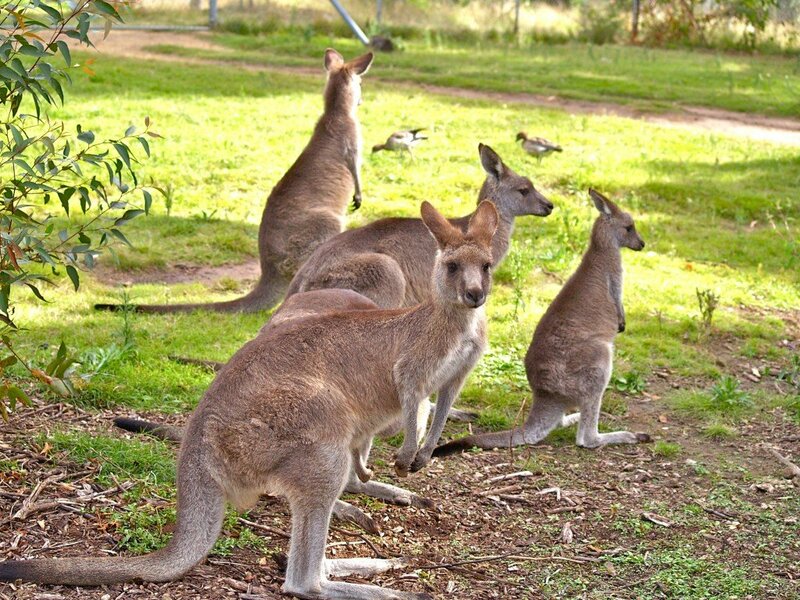 Kangaroos live in groups called mobs. Males and females can fight over drinking places but the males tend to fight over females. It can be to find the dominant (biggest/strongest) male who has the mates and therefore fathers more joeys. Kangaroo fights don’t usually last very long. I have seen then “boxing” at times. They rarely get seriously hurt. Flying foxes like to sleep in trees during the day then fly around at night in search of food. Right on Sydney Harbour you find the Royal Botanic Garden. 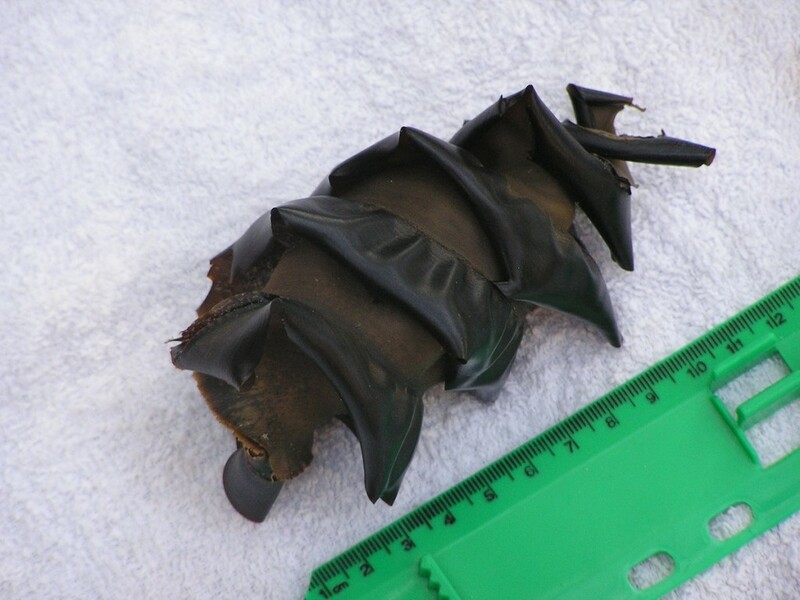 They had trouble with a colony of flying foxes which had moved into the gardens and were damaging rare trees before they moved on. If you scare a large colony, they can be very noisy as they fly off. Tasmanian devils can be around 0.2g when born but grow to an average of 6kg when fully grown. Growing from 0.2g to 6kg is an increase 30,000 times. Imagine if a human baby grew that much. A human baby born at 3.3kg would grow to 99,000kg. Hiking is a hobby of mine when I have the time. I like national parks, nature reserves, coastal walks or even hiking along highways and roads. I usually also have a camera with me in case I see interesting things to photograph. Chocolate bunnies/bilbies are both chocolate so I like them both but bilbies sell to raise money to help save wild bilbies so they have the advantage. Kelly and Hannah – Red kangaroos aren’t found in my area. 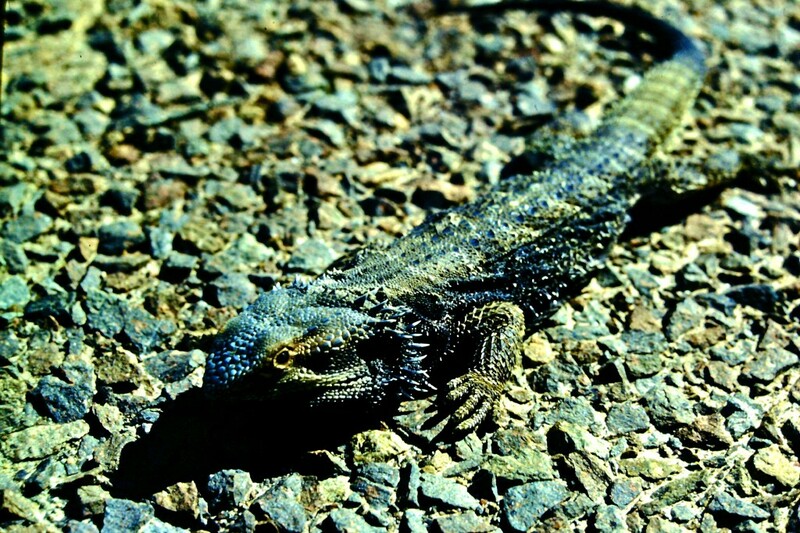 They tend to live in drier areas of Australia west of the major mountain range running down Australia’s eastern half. When breeding season is on again, I’ll have to see if I can get some photos of black swan cygnets. Peng Peng – Because I am no longer working as a teacher with my own class, I officially have every day off but I love to fill my days with activities such as photography, video, blogging, commenting, reading, walking and going tot he cinema. On Thursday I drove to a zoo called Mogo Zoo and a pioneer village replica called Old Mogo Town in order to add more photos and video to my collection. I may be able to share some of what I captured soon. 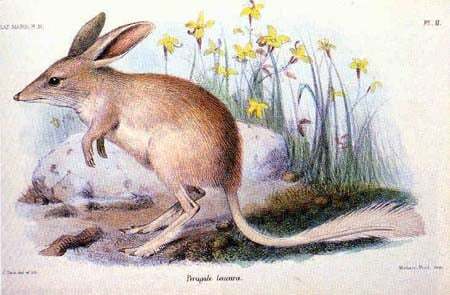 I haven’t seen too much of online bilbies but grocery stores like the Woolworths who supplied the cards I sent you can have them.